Thank you for visiting our Local Dealer's Listing! If you will be buying frequently you can sign up in advance for our Preferred Customer membership and save instantly in the store. Or all walk-in customers have the opportunity to save more through our own in house buyers program. The more you buy at the store the more you save over time! Call for more details. We are the Source for quality AMSOIL Products! 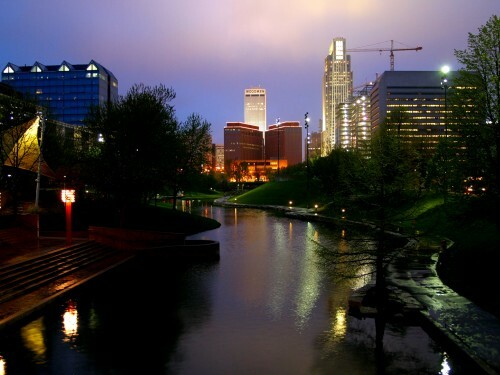 Central to Omaha we also serve all these areas: La Vista, Papillion, Bellevue, Fremont, Fort Calhoun, Blair, Scribner, Bennington, Irvington, Plattsmouth, Gretna, Boys Town, Waterloo, Elkhorn, Yutan, Mead, Valley, Arlington, Columbus, Norfolk, Wayne, West Point, Takamah. Iowa: Council Bluffs, Glenwood, Red Oak, Harlan, Missouri Valley, Logan, Shenandoah, Carter Lake. We represent the largest group in the Midwest and top 10 in volume for AMSOIL Sales the US. We can meet any need. Call us or browse and/or order directly online from the AMSOIL HQ. Buy AMSOIL for your business. Open an account today and save. Omaha's most resourceful AMSOIL Dealer is part of the fastest growing AMSOIL dealer group in the USA. Look through the main site and request your catalog or just email me for your order. Being there are few AMSOIL dealers in the area, save our number as you can depend on us. We should have what you need in stock. It's always best to sign-up as a preferred customer at the store if you own several vehicles or want the best deal all the time. I can ship anything to you from our distribution center or you may pick up here. Lately, most people are joining as a Preferred Customer. Just print out the P.C. Form and fill out the information in the Preferred Customer section. 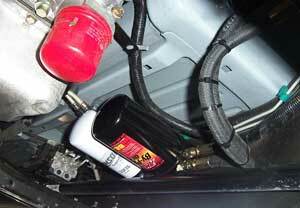 Look up your vehicle's filters, capacities, plugs, wires, wipers and Transmission/Drivetrain Fluids. Omaha is one of the fastest growing AMSOIL Markets. We are having our products stocked in more stores. Please enquire or call to order and pick up in any quantity. All our local dealers look forward to doing business with you. Please enter the main site for more information or simply call any of the dealers above. Should you have multiple vehicles or need to order frequently, be sure to ask for the Preferred Customer or Dealer form. This gives you the benefit of ordering direct for the wholesale price. AMSOIL greatly improves the performance in all seasons. Although we have the tests to prove it, the demand and feedback from our customers is impressive enough. When you consider all the cars and trucks you see having repairs time and time again, the use of our transmission, engine and filtration products would eliminate about 70% of heat and lack of maintenance related repairs. Grass roots racing teams who use AMSOIL never switch back to their previous brand. While advertising with our trade show booth, existing patrons commentary reflects this pattern. Customers can't believe the lower temperatures in all aspects including off-shore racing. The added result is the one most important benefit - significantly less failures. This was told to me first hand from Bobby Unser Senior. When he needs the best he calls Al Amatuzio (AMSOIL) for the answer. The current chief mechanic at DEI (Earnhardt Inc) has chosen AMSOIL gear lubes from a local dealer, and Mark Martin has used AMSOIL products from the start. You will find that club racing experts at Road Atlanta - especially motorcycle racing, prefer AMSOIL because of the extended duration of protection and it's a product which remains consistent at all temperature and power variations. The net is longer clutch life, less engine failures and noticeable throttle improvements. But the core of our Omaha area customers are average commuters and commercial businesses looking to cut costs in fuel and average vehicle life. AMSOIL is known for it's ability to reduce downtime and serious costly mechanical failures in all applications: Automotive, Heavy-duty Equipment, Compressors, Lawn and Golf Course Equipment, Marine, Motorcycle and more. When using AMSOIL, be sure to check out the By-Pass filtration systems as By-Pass systems here. We have several different kits for all vehicles, both diesel and gasoline. There is a high demand for all of our synthetic lubricants in the Omaha area but especially the Motorcycle, Diesel and two cycle products. We usually have what you need in stock but generally we ship from our distribution center. For your gasoline vehicle try our 100% full PAO Synthetics with our 25,000 mile Nanofiber oil filters. You save gas and stop wasting money at other quick lube centers. As you stop by our AMSOIL Store please ask for your free AMSOIL catalog before leaving. Also contact us for all your 2-cycle, racing motor oils, synthetic greases and transmission gear and hydraulic fluids. For watercraft our Interceptor 2-cycle injector oil is one of the best selling items in the industry. Great for Sea Doo. Clean power valve operation for less cost. AMSOIL Synthetic Motorcycle Oils exhibit higher HTHS viscosities than competing conventional and synthetic motorcycle oils. As seen in the graphs, AMSOIL Synthetic 20W-50 and 10W-40 Motorcycle Oils displayed the highest High Temperature/High Shear viscosities in their respective test groups, providing motorcycle engines and transmissions operating in the harshest conditions with superior protection against wear and viscosity loss and eliminating the need for separate gear case oils as recommended by some competitors. Synthetic 10W-40 may also be used in two-cycle transmissions. AMSOIL's drivetrain products protect vehicles under warranty even with extended intervals. If you go from 3000 mile intervals to 25,000 mile intervals on engine oil, extend transmission intervals 3X while virtually eliminating (automatic) transmission failure not only do you save $ but you are doing your part to reduce the need for foreign oil significantly. One car driving 25,000 miles a year over 5 years considering the engine capacity of 5 quarts and transmission oil of 10 quarts (Automatic) generally saves about 202.5 quarts of oil in that 5-year period. So a 1,000,000 vehicle population of a large metroplex will reduce lubricant oil dependence thanks to AMSOIL 100% synthetics by 50,600,000 gallons in 5 years..
Add in the average of 5% savings on fuel using AMSOIL lubricants and fuel additives and if you change your driving habits moderately by driving at posted speed limits on the interstate keeping a cap of 65 MPH you could save another 15%. So someone who uses 40 gallons per week will reduce their need for gasoline by 8-gallons. Multiply out a year that is a savings of 416 gallons. Assuming 1/2 the people in Texas fit this profile of 40 gallons per week and adapted this principle - that is 23 Million population - half of that would have the effect to save about 4.7 billion gallons of gas in that state alone every year. AMSOIL is one tool to help you live more independently and get off the grid. Unfortunately we had the products and safe storage tank technology available to power our cars 100% with Hydrogen gas. The Consumer protection agency stepped in and is now preventing us from purchasing the materials needed to separate Hydrogen from natural gas for this cheap energy source protecting the future of dependence of foreign oils and the expensive and unnecessary "Hydrogen fuel cells". Just like any other product in our free enterprise system, if we work together to reduce the need for petroleum products the price will drop and you save your hard earned dollars. St. Louis commuters can stick it to the man with AMSOIL. You can start today. See our list of how you can reduce your dependence on foreign oil. Central Omaha - Heartland Tires & Treds 6223 Grover St. Phone: 402-393-8900. We service all vehicles specializing in commercial fleets and vehicles. Come get your AMSOL diesel and transmission oils as well as priemum Donaldson Filters. You won't find this quality in many other shops in Omaha from a staff who believes in quality first. AMSOIL solves and prevents problems. West Omaha - Leisure Life Sports - 9004 S 145th St. Sapp Bros. Exit. Omaha, NE. (Next to Schrier Ford) 402)333-0655 SEA-DOO; SKI-DOO; Polaris. AMSOIL Interceptor Power Valve 2-cycle oil.